5) Online learning or hybrid? Standards Based Language Instruction via Social Media? information about SL teachers' use and needs of information and communication technologies (ICTs) as related to language learning (LL). with the use of computers, not taking any advantage of ICTs. and with teachers in the process of LL. of the COVCELL project (Basque, English, German, Icelandic, Italian and Spanish). learning management systems they would like to use in their language teaching. displays the sample distribution according to this variable. conferencing, audio recording for evaluation, etc.) for language study and teaching. 1998), inadequacy for students’ needs (Lam, 2000). 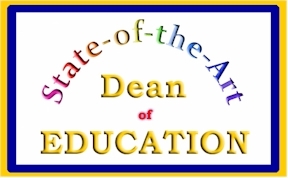 in order to be a State-of-the-Art Dean? Group for Discussions on Facebook: "Nada's ESL Island".